This setup might fail without parameter values that are customized for your organization. Please use the Okta Administrator Dashboard to add an application and view the values that are specific for your organization. Copy the following and save as metadata.xml to be uploaded later. Sign in to Okta Admin app to have this variable generated for you. 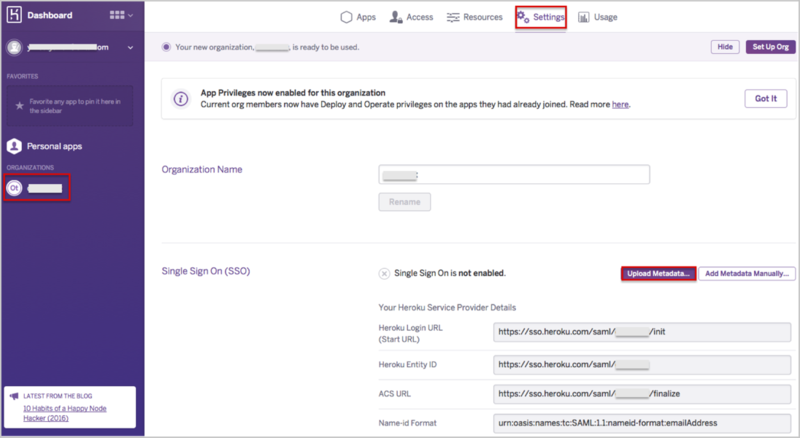 Log in to your Heroku account as an administrator. Click Upload Metadata… then locate and upload the metadata.xml file you saved in step 1.